Crude oil wasn't invited to the big party on Wall Street this month. Not long ago, oil prices looked poised to fly back above the $60 mark. All of a sudden now, the next stop looks more like $40 a barrel. Crude crumbled to three-month lows of $42.36 a barrel on Tuesday. That leaves oil down 12% in July alone, making it a big outlier in a month that's been great for other assets like stocks, bonds, emerging markets and of course, anything to do with Pokemon Go. So why is oil in a downdraft? Oil traders, as they're known to do, got a tad too excited about the long-awaited rebalancing of the market. The world still seems to have more oil than it needs -- and the epic supply glut has even spread into gasoline. Gasoline inventories are sitting at the highest levels ever for this time of the year, despite the fact that it's the heart of summer driving season. "Once again, the markets got ahead of themselves," said Matt Smith, director of commodity research at ClipperData. During the march to $50 oil, the shaky fundamentals of the market were masked by outages in Nigeria and Canada's massive wildfire in early May. Now that production has rebounded in both places, and other countries like Libya attempt a comeback, the supply problem has re-emerged. The other big problem is that $50 oil only emboldened struggling U.S. oil companies to start drilling again. 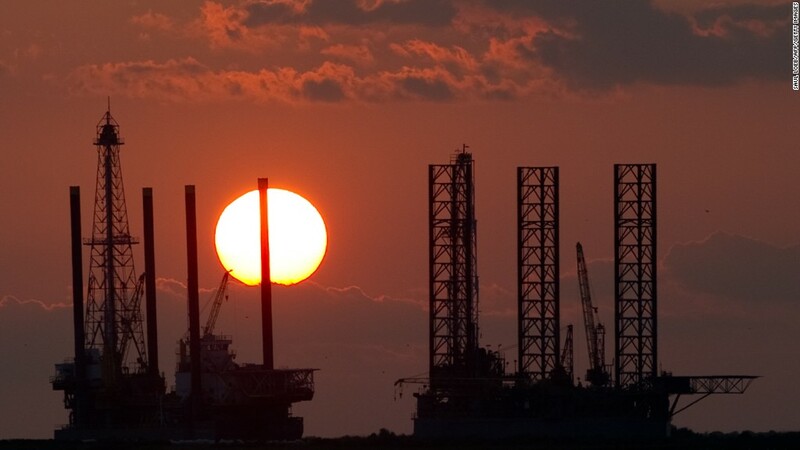 The closely-watched Baker Hughes count of U.S. oil rigs is up seven of the last eight weeks. That, of course, won't help the oversupply problem. In fact, it'll only make things worse. "All of these guys are trying to get their money out of the ground. Anybody involved in oil is trying to produce as much as possible," said John LaForge, head of real asset strategy at the Wells Fargo Investment Institute. That's why the U.S. oil boom has withstood the crude crash better than most had figured it would. U.S. oil production is down seven straight months through April to the slowest pace in nearly two years. But American output hasn't fallen off a cliff, despite the relentless price war with OPEC. ClipperData thinks U.S. oil production will actually bottom out in August, before gradually rising the rest of the year. Goldman Sachs is also calling for domestic oil output to rise next year. "U.S. production isn't dropping strongly enough to balance the market," said ClipperData's Smith. He added that he thinks oil prices are likely to go back to the $40 level. This is hardly the first time that an oil rally has been snuffed out by resurgent supply. The same thing happened in the spring of 2015. LaForge thinks investors better get used to it. He believes commodities are mired in a bear market super-cycle that could last another decade. "It doesn't flush itself out the first time around. It usually takes a few times of rinse and repeat," he said. That's because each time prices bounce, it only encourages more production to come back on line. But that quickly becomes a self-defeating process, causing more pain. History suggests that oil prices may be stuck in a trading range of $35 to $55 for the next decade or more, LaForge said. He pointed to the last big bear market that ended in 1999 and kept a lid on prices at around $25, other than a few geopolitical-fueled spikes. "More players will go bankrupt. It takes a long time before they realize they are losing money and they finally walk away," said LaForge.